Wiregrass Senior Bass Trail Tournament - May 1st :: RickeyStokesNews.com! The next Wiregrass Senior Bass Trail tournament will be Wednesday, May 1, 2019, out of Thomas Mill Creek on Lake Eufaula. Registration will be at the ramp from 5:00 - 5:45 A.M. with a 2:00 P.M. (CST) weigh-in. 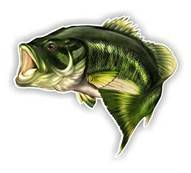 This is a 3-fish, 14" limit, pay and launch bass tournament trail for Anglers age 40 and older. Entry fee is $50.00 per-boat (includes big bass). For Anglers wishing to participate; there will be a $10.00 "Side Pot" per-boat (winner take all) for the smallest 3-bag limit weighed in. TO AVOID DELAYS DURING REGISTRATION & PAY OUT, PLEASE BRING THE CORRECT AMOUNT OF CASH (no checks). The Wiregrass Senior Bass Trail is a tournament trail for bass Anglers age 40 and older who want to avoid the weekend crowds and enjoy some good competition. So if you're age 40 or older, you're invited to fish this bass tournament trail. There is a one-time, 2019 registration fee of $5.00 per-Angler (this goes toward winning pay out at the classic). Go to our Hunt 'n Fish Page here on RSNews and scroll down to the article titled, "Updated - Wiregrass Senior Bass Trail - Rules and Schedule. Special thanks to Humminbird, Temple Fork Outfitters Rods (now being sold at Southern Outdoor Sports in Dothan, AL), Ardent Outdoors - "Rule the Water", Wiregrass International in Headland, AL and RICKEY STOKES NEWS. Please support our great sponsors!